You could drive the smallest and most basic car during your daily commute, but that wouldn’t give you the enjoyment of the drive that you want. Instead of settling for something small that doesn’t give you what you’re looking for, you need to take a look at the impressive but affordable Chrysler 300 that’s offered for you to drive on the roads around Dania Beach, FL. This is a car that has everything you want from the comfort and luxury features that make sense for you on the roads you drive every day. You’ll be able to choose between two powertrains and a long list of features when you select the right Chrysler 300 model for your driving needs. The team at Massey Yardley Chrysler Dodge Jeep Ram Fiat in Plantation, FL can make it easy to choose the model you want for your driving needs in Dania Beach, FL. Come in and choose between the 3.6-liter V6 engine with 292 horsepower and 260 lb.-ft. of torque or the 5.7-liter Hemi V* engine that offers you 363 horsepower and 394 lb.-ft. of torque, to give you the powerful ride you’ve been after. Starting at the base Touring model of the Chrysler 300, you’ll have the benefits of dual-zone climate controls, an eight-way power driver’s seat, keyless entry, a dash-mounted analog clock, a leather wrapped steering wheel, a split folding rear seat, 17-inch aluminum wheels, a six-speaker audio system, satellite radio, a USB port, and Bluetooth streaming. Move up to higher trims and you’ll be able to enjoy a rearview camera, a panoramic sunroof, leather upholstery, heated and cooled front seats, a tilt and telescoping steering wheel, a navigation system, a power operated rear sunshade and an 8.4-inch Uconnect screen for the drive you want on the roads around Dania Beach, FL. There are several packages of options that can also give you the pleasure you want when you drive the Chrysler 300 around Dania Beach, FL. Among these are upgraded audio systems, adaptive cruise control, blind spot monitoring, forward collision warnings, lane departure warning, AWD, an aggressive look to the exterior, upgraded interior cues, sportier items such as paddle shifters and a performance tuned suspension, Nappa leather seats, and hand-sanded wood accents. Upgrade the wheels to 20-inches in size and have the drive that makes sense for you when you head out on the road. It’s time for you to have the driving experience you’re looking for in the Chrysler 300. 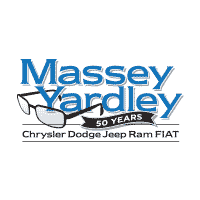 Come in and see the staff at Massey Yardley Chrysler Dodge Jeep Ram Fiat in Plantation, FL to choose the model that will give you the driving experience you’re looking for on the roads around Dania Beach, FL. There’s no reason for you to settle for a car that gives you nothing when you can have the Chrysler 300 and have everything you’ve been looking for at an affordable price when you head out on the road.